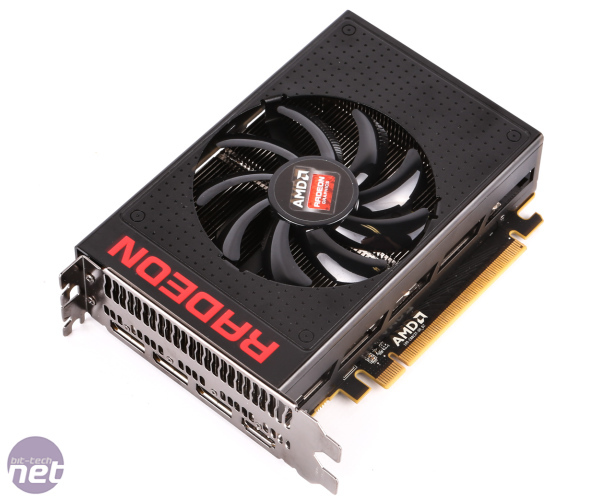 AMD's R9 Nano in broad performance terms is similar to the stock R9 Fury - note that the Sapphire R9 Fury in our test results has a 5 percent factory core overclock over stock speeds hence why it holds a slight advantage. 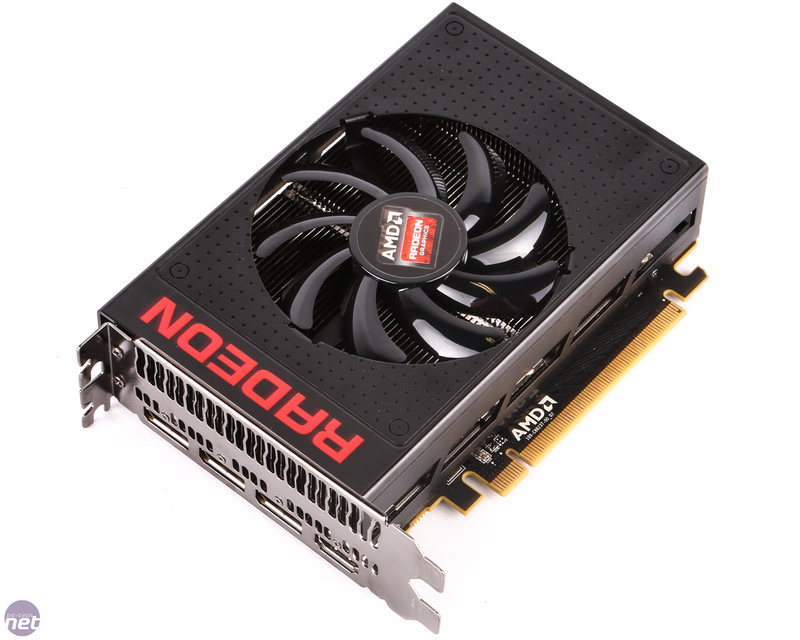 The R9 Nano is considerably faster than the R9 390X, even overclocked variants, and does so with a dramatically reduced power footprint. Nvidia's closest performance rival is the GTX 980 which tends to beat the R9 Nano at the mainstream 1080p resolution but at 1440p and 4K the R9 Nano is a clear performance leader. Looking at some performance statistics we found the R9 Nano to be 5.6, 8.7 and 12.1 percent slower than the R9 Fury X at 1080p, 1440p and 4K average frame rates, respectively. The Asus GeForce GTX 970 Mini is probably the closest competitor to the R9 Nano and our testing shows the R9 Nano is 14.9, 24.7 and 31.1 percent faster at 1080p, 1440p and 4K average frame rates. The R9 Nano is a potent gaming graphics card for its size and it is capable of acting as a 1440p or 4K workhorse for a small form factor system. The GTX 970 Mini suits gaming at 1080p-1440p while the R9 Nano is a class ahead, delivering 1440p-4K gaming in an even smaller form factor. 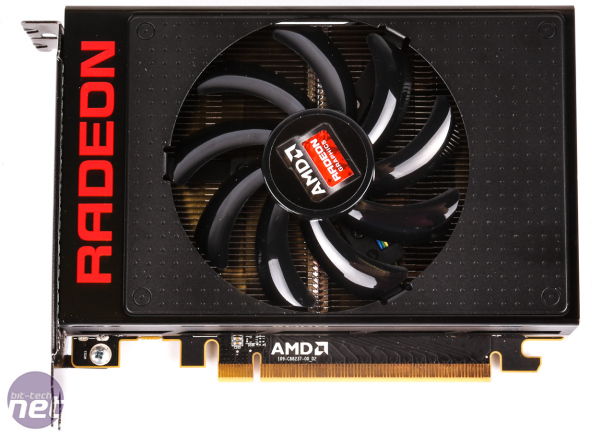 Power consumption has consistently been an Achilles heel for AMD GPUs in recent generations but the R9 Nano fares much better in this regard. In our tests, peak power consumption of 343W meant the R9 Nano consumed the least power of all tested GPUs, aside from the GTX 970 Mini. Given the notably lower performance of the GTX 970 we can conclude that the GTX 970 Mini and R9 Nano offer similar performance-per-watt characteristics. Low power consumption also translates into low temperatures for the R9 Nano; we observed peak temperatures in the mid-70s. The single fan didn't exceed 1,800 RPM either, which resulted into a very quiet gaming experience and demonstrates the cooling solution has a lot more thermal headroom; ideal given that some ultra compact cases could increase temperatures further. By overclocking the R9 Nano and increasing its power limit we observed system-wide power consumption jump an additional 100W, in line with the R9 Fury X, which caused temperatures to rise to the mid-80s and the fan to ramp up to 2,800 RPM to compensate for the additional heat. At this level the acoustics are a lot more noticeable but this configuration really isn't suited to the card's intended uses. In the acoustic department, our main gripe with the R9 Nano is actually the coil whine we experienced throughout testing which was often considerably more obvious than any system fan noise. 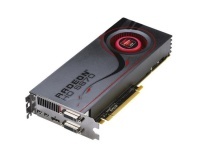 For such a premium graphics card, we would expect the use of better components and greater quality control to prevent coil whine, or at least to dampen it to some extent, and we hope that when retail availability proliferates AMD ensures coil whine is fixed, or at least minimised. However, our sources indicate that it is a known issue affecting all cards, and this is a real shame given what AMD has achieved elsewhere. After all, small form factor systems are all about being discrete. Not only that, but as AMD is not permitting third party Nano designs, the burden lies entirely on its shoulders - even strapping a full-cover custom waterblock to the card (should one become available) is unlikely to help. 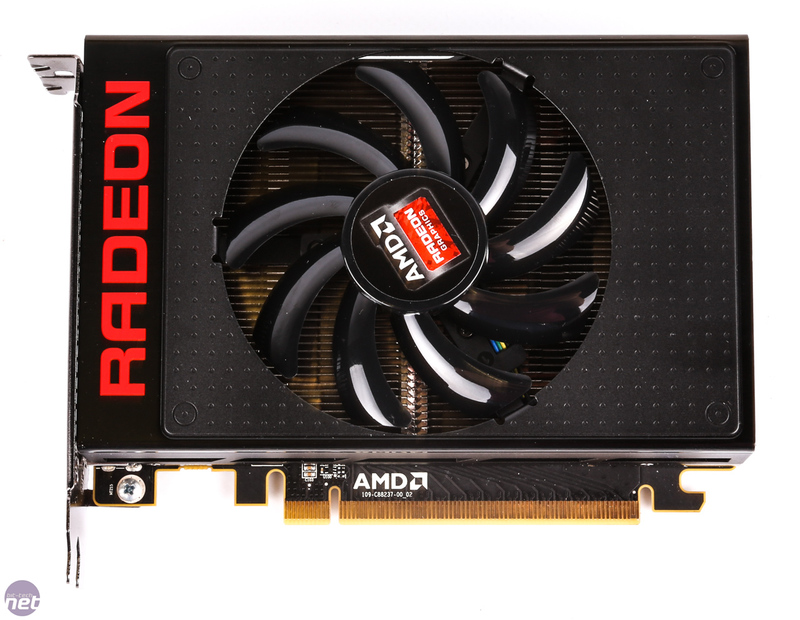 AMD's R9 Nano is, at first glance, precariously placed in the market with its $649 MSRP that makes it as expensive as both the Radeon R9 Fury X and GeForce GTX 980 Ti, both of which perform considerably better. However, the price-to-performance perspective is somewhat misleading in that the R9 Nano targets the small form factor market where a compact size is a crucial requirement. In that regard AMD's real competition is not high-end flagship GPUs with liquid cooling solutions or 10 to 12 inch PCBs, but any graphics cards that come in a compact-ITX form factor. At present this is limited to Nvidia's GTX 970 and AMD's own R9 285/380, both of which the R9 Nano is significantly faster and more compact than. In terms of being the fastest compact graphics card AMD's R9 Nano succeeds in its ambition with ease; an ultra-compact ITX 1440p or 4K gaming system is a very real possibility, though it should also be noted than many mini-ITX cases of late are easily capable of housing full length graphics cards anyway. The price could also be a sticking point for many prospective buyers given that the R9 Nano offers around 25 percent more performance than compact Nvidia GTX 970s yet costs 85 percent more ($649 versus $349). This isn't a totally unexpected situation for the high-end market where diminishing returns are a de facto expectation. 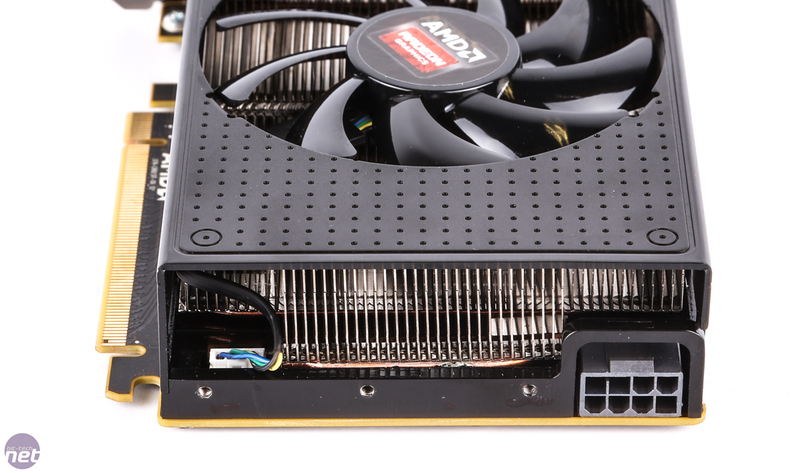 AMD's R9 Nano is a graphics card that serves its (very) niche high-end small form factor market well but its premium pricing makes it unaffordable to many small form factor system builders, and the coil whine could also prove to be another sticking point. In fact, it is this that holds the R9 Nano back from attaining our Premium Grade award. Were it not for this, it would be well deserved. Some HD 8000s and 7000s, too.